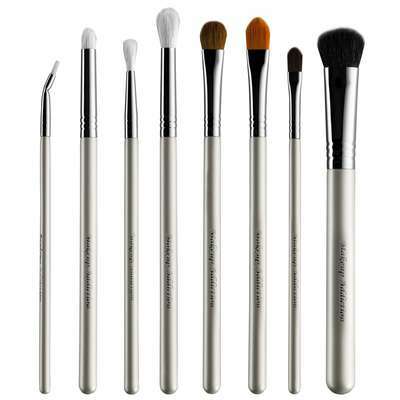 The Arctic White Pro Eye set is specifically designed to get you ready for the cat walk. - Angled Liner - This fine tipped angled liner is designed to create a fool proof wing. - Small Pencil - This pencil-shaped tip is perfect for precision shading on the lid, outer corner of the eyes and blending shadow on the bottom lash line. 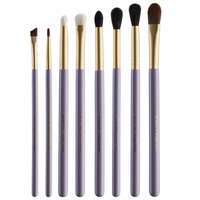 - Precise Blender - A long and thin crease brush, great for blending colour on small areas, such as the crease. - Soft Crease - This soft rounded brush is perfect for blending colour on to the crease for a diffused effect. - Classic Shader - A firm and dense brush, perfect for packing colour on to the lid. Wet the brush for an intense colour application. - Concealer - This small tapered tip brush is ideal for spot concealing and creating definition around the lips. 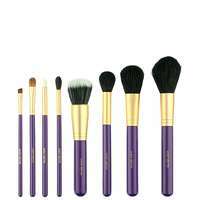 - Definer - A firm tapered tip brush that is perfect for precisely applying lipstick and for the use of glitter products. 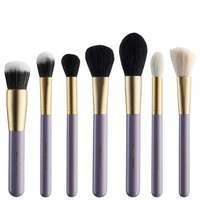 It can also be used for cleaning up under the brows with concealer. 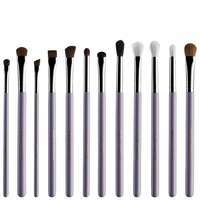 - Large Fluff - An extra large versatile brush can be used on the eyes or the face.